Protein Type Plant base, rice, Sacha inchi, etc. Summary: Shakeology is another Multi-Level Marketing product of Beach Body, the makers of the infamous P90X infomercials. Shakeology has impressively removed all soy from it’s formulations and leverages a wholesome blend of rice, pea, Chlorella, and other higher quality plant-based proteins, making it fine choice for many vegans. We love that Shakeology is now running with PEA protein especially since recent studies reveal how it plays offense in attack your hunger cravings. Each serving is packed with more than 70 natural ingredients and is packed with many essential vitamins and minerals you’ll need for the day . 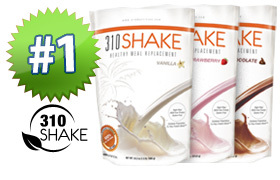 So why don’t we rank Shakeology #1? There is no doubt all these ingredients are all outstanding on their own merits but remember we are rating according to weight loss metrics, not how many exotic ingredients we can name and or how many we can fit into a bag. Remember weight loss isn’t rocket science, the right blend of basic proteins and fiber can go a long way in supporting a winning weight loss system. One final note of importance is that it’s important to keep in mind that plant-based shakes (unlike whey) typically do not rank high on taste test, and you many find Shakeology is no exception. Flavor is important because the reality is if you don’t like how a shake tastes it can be hard to stick with. At almost $4 per serving Shakeology is certainly on the higher end of the pricing spectrum when it comes to meal replacement shakes. But for those who want it all and don’t mind the taste , and the price, Shakeology is an outstanding option. Have you tried the Shakeology shakes? What did you think of the taste and the price tag? We’d love to get your feedback! I tend to agree. I really want to use shakeology w/ my P90 workouts I simply can not afford it. Each month is dwindling paychecks for me.. necessity is key, ie., house hold needs, veggies and so on. We all should be greatfull to this site. Shakeology protein shakes cost $90 The cost to be part of the team is $14.89 so the total cost is aprox $105 if you are a coach The saving is about $14. The ingredients in this shake are great, I have tried them all and man this wins out. Don’t be thrown off by the expensive, this stuff is great! Yes it is expensive but it is well worth it. I was on the Shakeology for 4 months and I lost a total of 16 pounds thanks to my beach body coach. I’ve been on Shakeology for 3months now as a coach and the reality it’s still too expensive for my blood. The price is for one person/month, and if you have a family, that is just outrageous! My brothers and I buy less than $400 worth of groceries a month which includes fresh fruits and veggies and the healthiest/cheapest versions of everything that we can. It is not easy, and adding another $90-$120/month for Shakeology per person is just not practicle for our family. What is the cheapest healthiest, most closely related to shakeology that I can find, I am 16 years old and have no steady job, $100 is absolutely out of the question for just one shake mix. Any alternative suggestions that will get me the same results? if you really think about it shakeology is $4 for a full meal. A breakfast or lunch. Where else can you eat a meal for 4 dollars. It saves me on food for my family every month. I ordered a month supply and have not yet be able to finish it because of the taste. so glad that I found this website! I’m laughing at this blog. Being from Canada folks think we are picky to begin with. It was nice to see it wasn’t just me that couldn’t get this down. Another MLM, here’s the catch.. To get the discount, you must become a coach. Per the rep itt costs about $40 to sign up as a coach and $14.99 a month after that. I pay $98 and some change every month plus my coach fees of $14.99. It is still cheaper to buy it as a coach, given that you also get free shipping. As a coach you get discounts on other products as well, such as P90X. They strongly discourage trying to promote the product if you are not using it. They want your personal testimony to be your strongest selling point when you are in front of people.. they are like gospel singers and want everyone to sign and spread the shake word. Living in Minnesota fruits are hard to come by..mixing this w/ fruit is tuff. The green berry is really good if you blend it with orange or pineapple juice, a banana and 1/2 cup frozen fruit ( strawberries, peaches, etc.) and a couple table spoons of plain yogurt. If it is just shaken into water or plain juice it looks and smells quite a bit like raw sewage. The taste of this is like kissing your dog after your dog licked another dogs a**. I really love the ingredients in this shake and would love for the folks over there to try and make it taste better! I agree the taste of the shakes are gross. I gave it my best shot but couldn’t handle it. Thanks for this site!! It is very helpful and interesting. I have been using Shakeology for about a month and, while I agree that the flavors are an acquired taste, I appreciate the nutritional values and plan to continue using it. The 3 day Shakeology cleanse relaly does work. It was easy to follow and I had good results with it. I was stuck on a weight for a while and lost 5 pounds with the cleanse. Thanks for sharing. Been using shake for over a week now .Ienjoy the taste of the chocolate one and it is a breakfast replacement 89.00 a month but Im not buying breakfast food anymore so it evens out. I also joined beachbody as a coach and as you lose weight and people sign up under you for shakes you get paid so it worth it to me. If you do not purchase top shelf whey you may as well not buy the product. Believe me not worth it. I’ve lost 9 pounds on Shakeology in just 3 weeks. 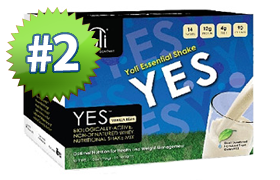 I’m interested in Yoni and 310Shake as I’ve heard amazing things about these folks as well. I have been drinking shakeology for 9 months. I normally do insanity and p90x on and off. I have to say I enjoy Shakeology a lot and use it as a post workout drink. They recently changed the formula. The taste is different for sure. Not as good as the old in my opinion , but still good. The amount of ingredients in this shake makes it a winner. Some of your info here was really good. I love Shakeology. I drink the chocolate flavor and mix it with almond milk and PB2 (A healthier form of peanut butter). I love the way it tastes, sometimes I even crave it for something cool and sweet! I eat clean, and find it hard to get all my veggies and fruits through out the day because of being busy so I will drink a shake to get all my nutrients and not go get fast food. Ive lost 20lbs and going since deciding to drink Shakeology which was 2 months ago. Not saying it was all the shake, there has definitly been some hard work at the gym and healthy food, but the shake definitly does help! And when you think about the price thats cheaper then your daily Starbucks, or Big Mac meal at McDonalds. And don’t feel bloated and dehydrated after ingesting it! I have been drinking Shakeology for over a year and recently I did not drink it for a month. I started back up again and can completely tell a difference. I have more energy, I feel healthier in general. I also mix mine with a banana and almond butter with ice and water. It is my healthiest meal of the day. This stuff was nasty, if any one wants it just email me and I will send it you, otherwise it will be i the garbage tomorrow. Sure it can be a little pricey but I believe the shakes are delicious. I put a small amount of peanut butter in my chocolate and some ice and it was awesome. It fills me up also. Not everyone will dig on it but its worth the try. I Love this stuff! I have been drinking shakeology for almost a year. I have six kids and still fit I am only five foot tall and weighed 199. I am proud to say that after a year of supplementing with shakeology, I weigh 135. I tried everything before this, it really works. I have six kids, go to college full time, and working at least 40 hours a week, I couldn’t find time to work out. This is so convienent to fit into my busy schedule. 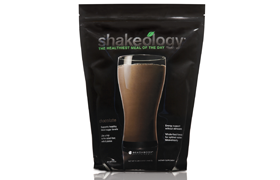 As for the taste, I use a banana mixed with almond milk in the chocolate shakeology, it is great! Sounds great! But I work in law enforcement and we havnt received a raise in roughly a decade, so there’s no way I can afford it. If they’re really as concerned about people’s health as they say, then make it affordabale for everyone! I have been drinking shakeology for almost a year, at first the price seemed really high. We cut out sodas, junk food and fast food and all of a sudden we were saving money. Now my fiance, 15 yr old son and I all drink it. I have 3 bags shipped every month. LOVE IT!!!! I’m sorry Bianca that you didn’t like the taste, but I agree with Carol…the tropical strawberry is great too! and its not about mixing fruit, etc. and and having a “recipe”, for me its about mixing things up for a change, but most people mix protein/health shakes with some form of milk anyways (ie. “cows” milk, almond milk, coconut milk), I just prefer water so I get more in my diet and ice, makes it like a smoothie…just something for you to think about. The Beachbody website has some great recipes if you cannot drink the Shakeology by itself…and just because you mix it with other things doesn’t mean your not still getting the benefits of over 70+ nutrients your body benefits greatly from! I’ve been using it for over 2 years and will continue to use it for as long as its available! I think Shakeology actually tastes great!. If your used to eating fast food and crap all the time, yeh Shakeology probably tastes way to healthy for you! But if your used to eating clean, you really cant say that it tastes bad. I have been using Shakeology for 6 weeks and I am down 12lbs. I use it as a lunch replacement, so the $4 is far less then what I was spending going to Bruggers or Panera. I blend the chocolate with milk, fruit and ice and occasionaly add a tablespoon of natural peanutbutter. I agree, if you just mix it with water it is nasty! I had headaches the first week or so I used it (maybe detoxing) now I feel great, if fills me up and I have a lot of energy. I’m not coach, just a mom trying to loose some baby weight! Is it just me or does Shakeology give you a stomach ache and give you the craps? I was a little leery of investing $100 a month into a shake, but with an open mind and nothing to lose, I went for it. The original chocolate flavor is good, however, the greenberry is my least favorite- I say this as a coach. I started with it in May of last year, a crazy month for teachers. I did not notice a change until the end of the month, and was surprised. I’d lost 5 pounds, had more energy to make it through the day, and stopped reaching for junk food. The peeps on here bashing this product don’t realize that most people put stuff in their shakes to change the taste as well! Shakeology does not use artificial ingredients. If you are drinking a vanilla based shake, you are drinking an artificial ingredient. Shakeology uses fair trade ingredients, too. If you don’t like it, find something you DO like. If you don’t like the price, find something that better suits you. I look at the money I spend as an investment in my health. This may be the worst tasting shake I’ve ever had, and according to my wife that’s saying something. I’ve used Creatine, Nitrogen, Meal Replacement and so many Proteins like egg, soy and whey. I also use BCAA’s, and even the vegetable replacement powders and nothing has even come close to how poorly this product tastes. The trouble is that there are so many of these independent marketing people getting paid 25 % of the price, which at $ 129 a bag isn’t shabby ($32 commission) so they say how great it is. Also, as I found out when I ordered this product, they place you on an “Automatic” replenishment cycle where they just ship and bill you for the products. Not cool! I was very displeased with this practice and have had to call the center which of course is foreign run (so you take an hour to get this resolved). Do your homework folks. Just about every nutritional shake they offer has a less costly and much better tasting alternative. Shakeology is by far the worst tasting product I have had in my 15 years of fitness and nutritional training. I really like Shakeology. I just started drinking it 2 weeks ago & I have lost 12 lbs. This excites me. It has lived up to all that it has claimed for me. I am a FT mom & I also work FT. Shakeology helps me to make sure my body gets what it needs to start the day. My energy level has extremely increased & my stress is less. My job is a very stressful environment. I am very thankful for Shakeology & I love the Greenberry blended with ice, water & a banana, frozen pineapple or frozen blueberries. Yum. I awake up looking forward to the kick start of my day. No I am not a coach, rep or have any affiliation w/ BeachBody. I am a new consure who just really loves the product. I got my mom & her friend started on it. It’s what I expected when I looked up BB reviews – many love it, some hate it. Such is life. I am a BB Coach and shamelessly so. I love the new Chocolate Shakeology. I am a creature of habit – scoop of chocoloate shakeology, 1 tbsp of natural peanut butter, 1 banana, water and several cubes of ice (sometimes I do half cup skim/half cup of water). It tastes fantastic. Much better than the previous recipe which did have an aftertaste. The price objection is funny to me because even when I wasn’t a coach the $4 per shake cost wasn’t prohibitive. I gave up fast food and junkie lunches, plus $4.50 grande caramel macchiatos at Starbucks and am saving money. The product has changed thousands and thousands of lives. 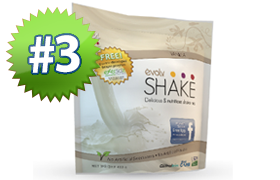 You can try to punch holes in it but the meal replacement works and the workouts are amazing. All of our taste testing is done using water and the shake mix (purest form of being able to sample the true taste, texture, and consistency of the product)…. Mmmmhh…it’s ok. It’s not an end all be all product. I am an ex Beachbody coach and one of the primary reasons I quit was because of the way the upper tier coach touted it as a ‘life or death’ product. She made it seem that if you didn’t get Shakeology every month you would surely die of a horrible disease. Please! Plus it’s very expensive. Better than fresh veggies and fruit? I think not. This product is gross. By far one of the worse things I have ever drank. Same on u beach body for charging that much money for crap. Your mouth has an after taste of grass. Shakeology is amazing for you. But I really do struggle with the taste of it. If I mixed it with a bunch of things, maybe it would taste better, but I’m looking to save some calories with my shakes. To make it taste good I would have to add a good 200 calories extra in sugar and fruit and milk/juice. Perhaps using the recipes it’s good, but if you’re looking for a shake that will taste okay just mixed with water, this is not the shake. It’s rather gritty even blended up and has a bitter aftertaste. If I don’t chug it down in just a couple minutes, I can’t get myself to finish off my glass. I haven’t tried the Greenberry. My sister tried the original greenberry and thought it was nasty, however I heard that since then they cnaged some things up to make it taste better. 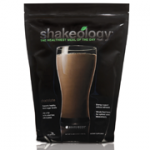 I’m reviewing the Chocolate Shakeology; maybe they should try to do something to make that taste better, too. I get that with all the miraculous things it’s going to be hard to make it taste like chocolate, but still, bleck. I know it’s super healthy for me and can reap some great benefits, but I’m not seeing much benefit because I wake up in the morning and am always reluctant to drink Shakeology. It’s very expensive, and at first I paid for it thinking it was the only shake of its kind, but with research I’m finding other shakes like 310 with similar benefits. Shakeology has kept me full and gives me nutrition and my vitamins, so that’s why it doesn’t have only one star in my opinion. What’s worse than the taste of shakeology? The harassment of Beachbody coaches/corporate to keep buying the stuff once you find out how awful it tastes!! I really, REALLY tried to like the stuff…after all it’s the “healthiest meal of the day.” I’ve tried chocolate, vegan tropical strawberry, & vanilla with each flavor worse than the previous. I told my “coach” (what a joke…a person with no fitness certifications & makes $ off your hard work displaying your before/after pics) I was having issues drinking it but was told that I hadn’t found the right recipe yet. This shake is expensive as is, but to make it palatable you then have to add a few $ worth of extra ingredients…not to mention always blend it with a blender to lessen the texture issues from the powder. Needless to say I stopped my authorship, but was then hounded by BB corporate via phone and email that they improved the chocolate flavor and wanted me back….many phone calls later and a few choice words they finally got the hint I wasn’t interested.